Mark and Dan sincerely thank you for visiting their website. Their service mission at Beckloff Dye Fine Properties is to offer their clients the highest level of knowledge, professionalism, skill and customer service in all of their real estate transactions. 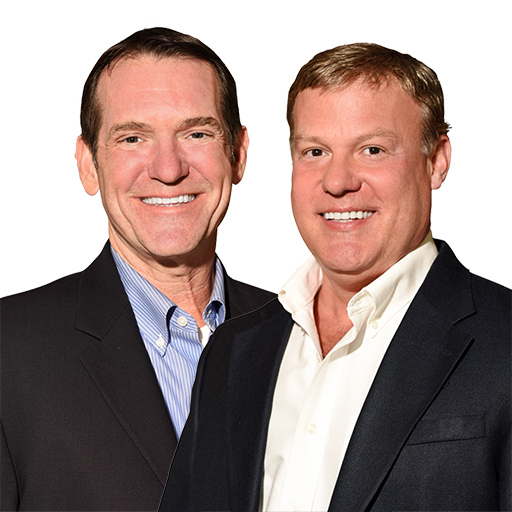 Mark and Dan realize that you have a choice when selecting a real estate professional, and that's why they strive to exceed expectations at all times. With their team of qualified professionals, it's always about YOU and providing solutions for all of YOUR real estate needs. After more than two decades as highly acclaimed, successful entrepreneurs, Mark and Dan chose the beautiful Coachella Valley as their home. Although they live in the tranquil community of Indian Wells, they service the entire valley. If the years of heading their own high-profile international company taught them anything, it's that one can never rest on one's laurels. Once they entered the vast and exciting, always changing world of real estate, they quickly became among the top producers in the Valley. Their business has been built on a base of satisfied customers and their glowing referrals, for which they are always grateful. Mark and Dan warmly invite you to call or email them to discuss any of your real estate needs. Of course, there is absolutely NO OBLIGATION whatsoever - they pride themselves on providing service to their clients. If you are looking for professional, knowledgeable, dedicated, full-time Realtors to assist you in your next real estate transaction, whether for a home sale, home purchase, vacation home purchase, beefing up your real estate investment portfolio - look no further! Everyone at Beckloff Dye Fine Properties is standing by to serve you. If the time is not right for you to engage their services at this time, we invite you to pass on Mark and Dan's names on to any of your family / friends who may be in need of our expertise. They look forward to hearing from you very soon!